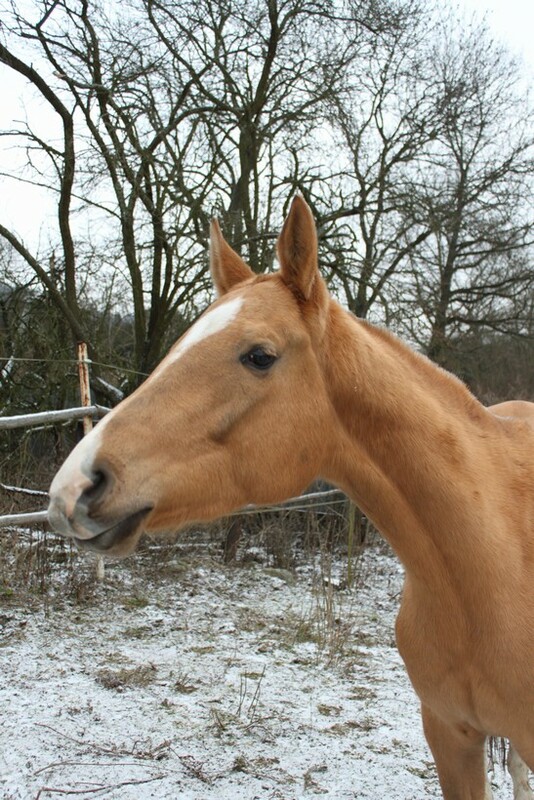 MUKAM was born 16.3.2007 at 8.10, by Damask, out of Meksika. 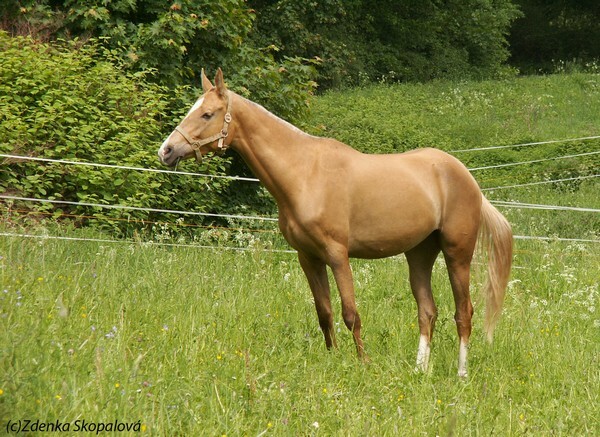 Her name means in Turkmen song, melody. 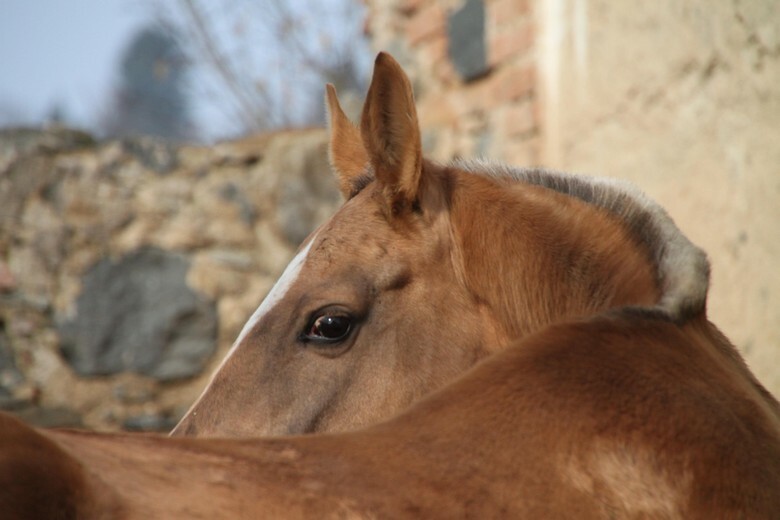 She waited little bit to be born, she was foaled 22 days after the term. 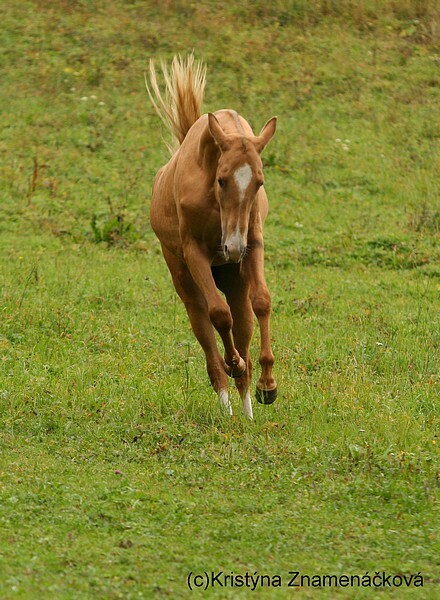 After her birth we considered, that she decided to come to light in a full bloom. 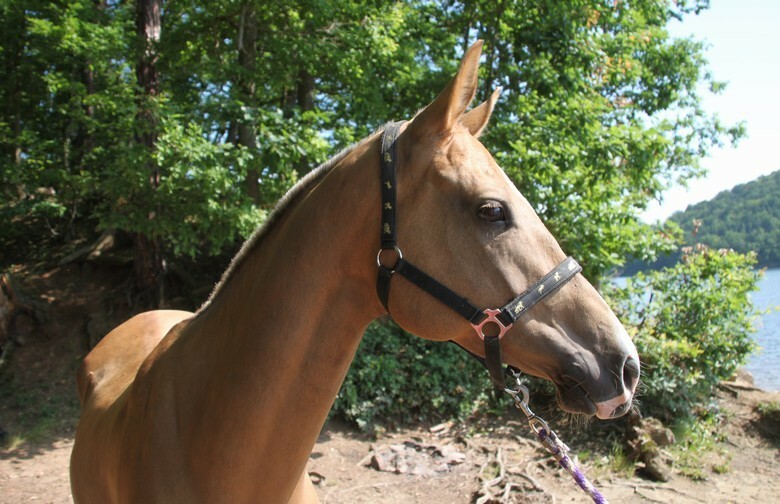 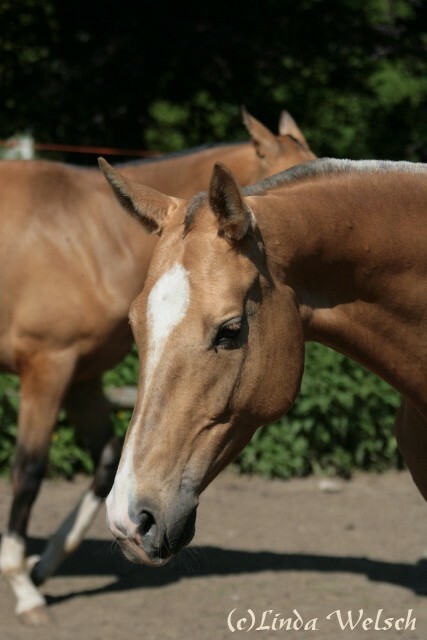 She is very typical, with beautiful neck line and long flat poll, her only lack are weaker loins. 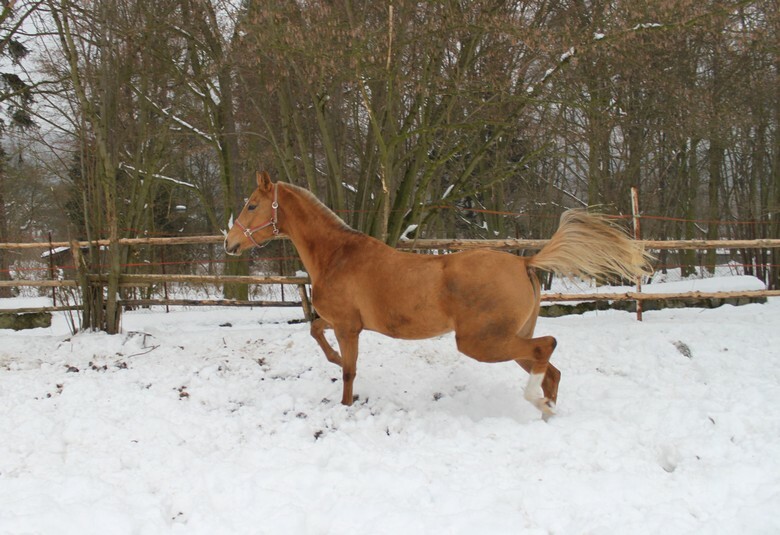 She has strong bone and outstanding movement. 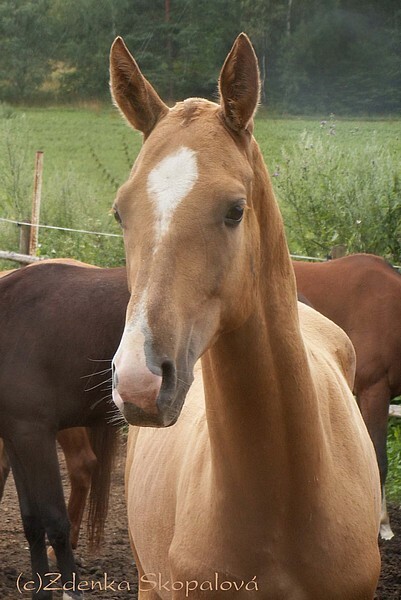 From her mother she has inherited gentle and friendly character. 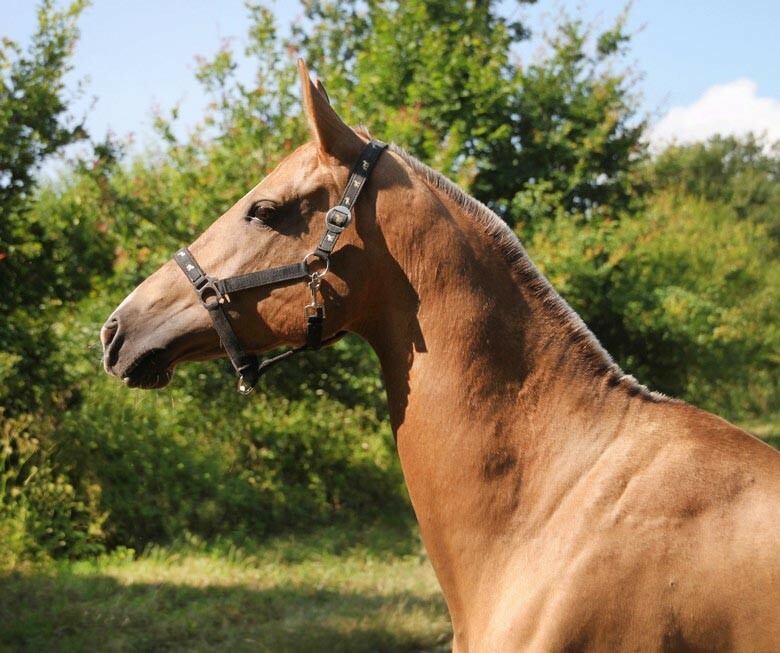 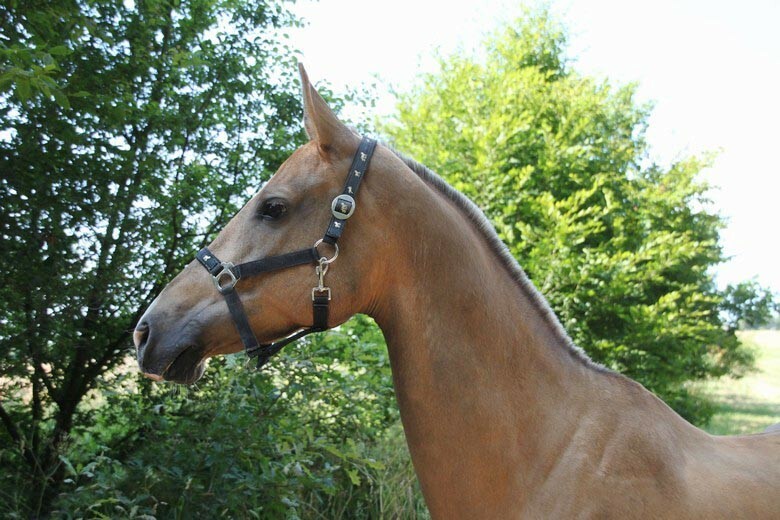 In Mukam´s pedigree we can find only far inbreedings – from sire´s side there is V, V on stallion 858 Ametist and from dam´s side V, V on 682 almaz and V, V on 828 Fakirpelvan. 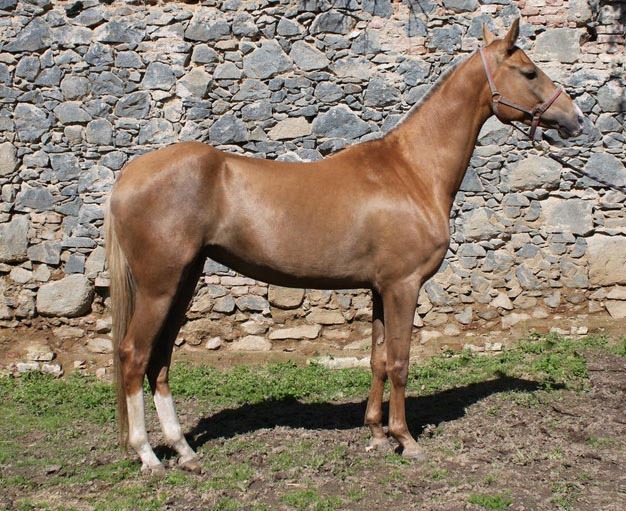 Same as her half-sister Dogulmak, Mukam´s pedigree is based on the rare combination of Arab and Toporbai line and same as her she shows that connection of these two lines seems to be prospective. 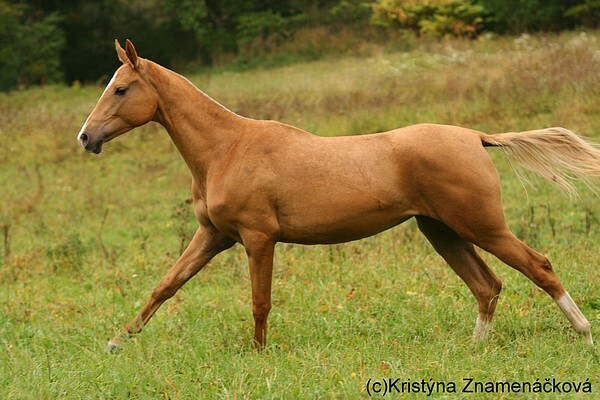 By her sire Mukam belongs to Arab line. 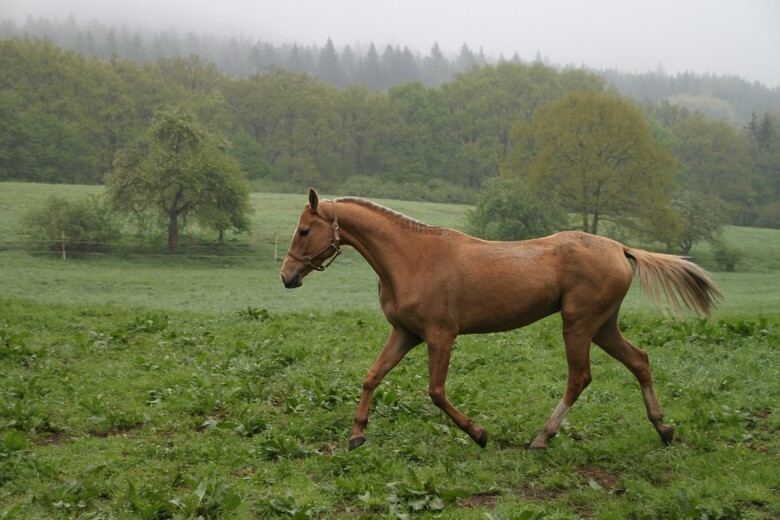 Her sire, dark buckskin Damask, was as a yearling, in 2004, imported to Czech Republic from Russian studfarm Akhalt-Service. 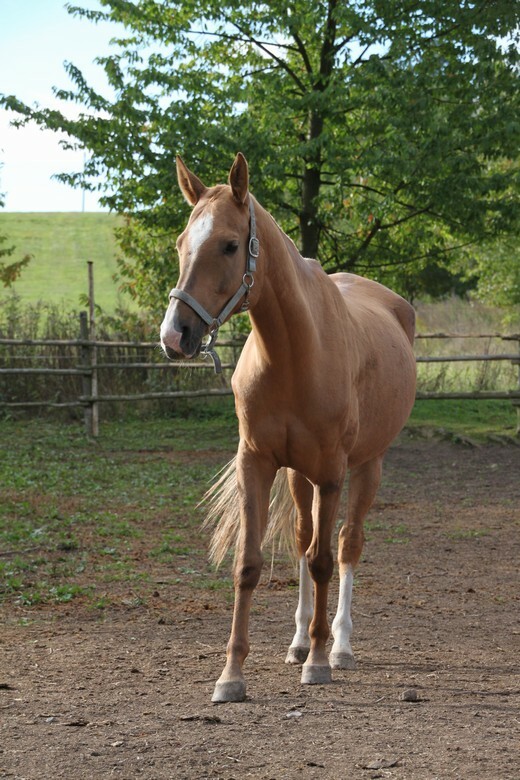 Since 2006 he is used in breeding. 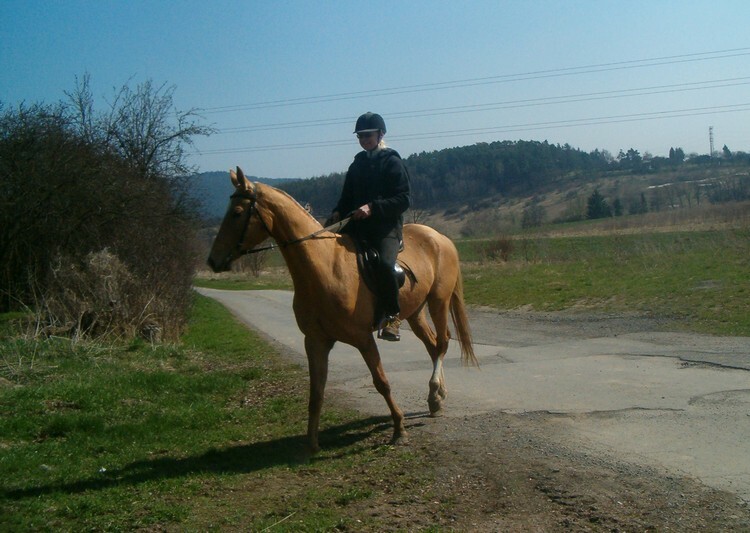 14.6.2008 Damask passed his first life start in a race and finished 4th (Prize of Boinou, 1200m, Pardubice racetrack). 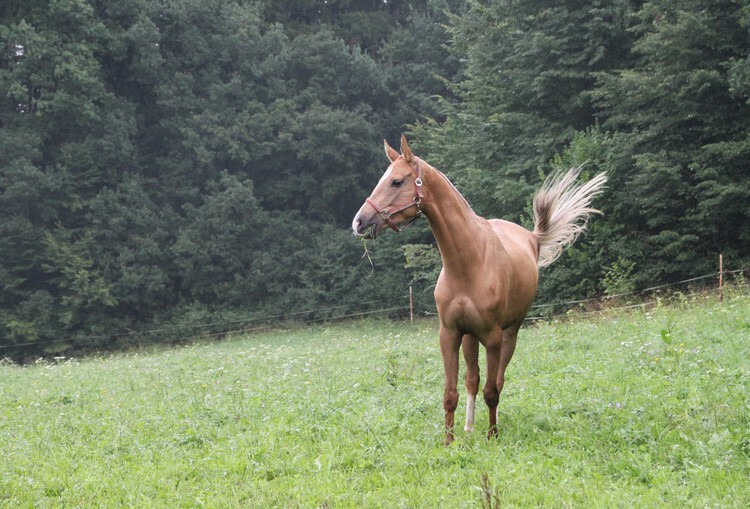 One year later, 13.6.2009, in the same race, this time on distance 1600m, Damask finished 2nd. 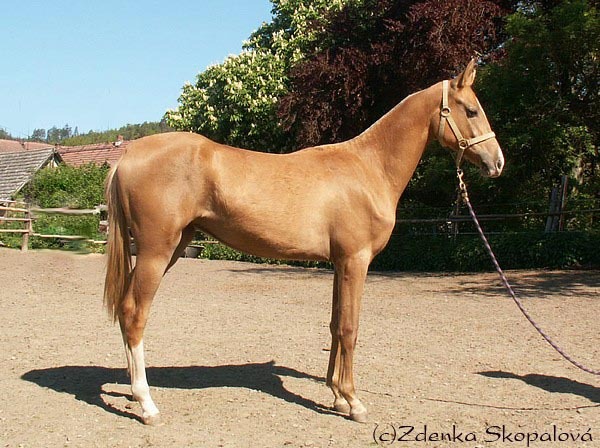 Damask is from his dam´s side half-brother to black stallion Karakhan, who placed 3rd at the World Akhal Teke Championship in 2003. 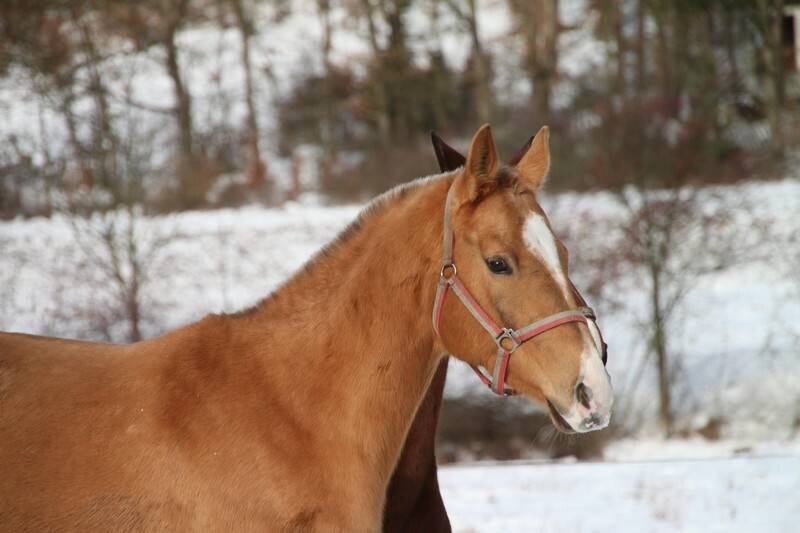 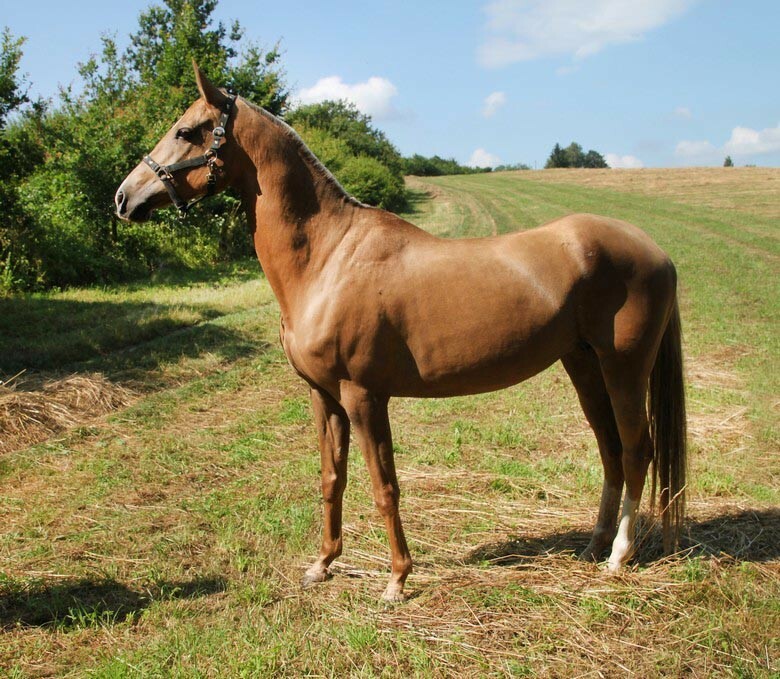 Damask´s sire is stallion 1122 Aksum, dark chestnut, was born 1993 at the studfarm Akhalt-Service, Russia and now is used in breeding at the studfarm Dagestanskii. 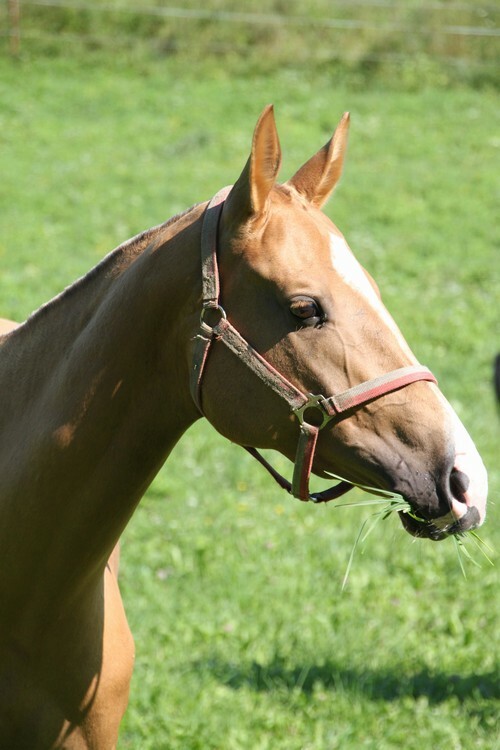 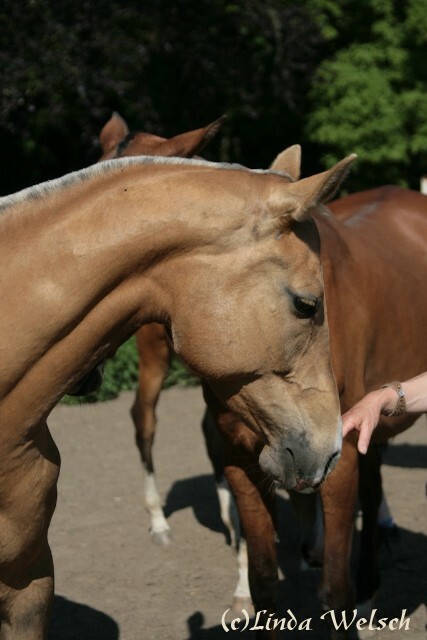 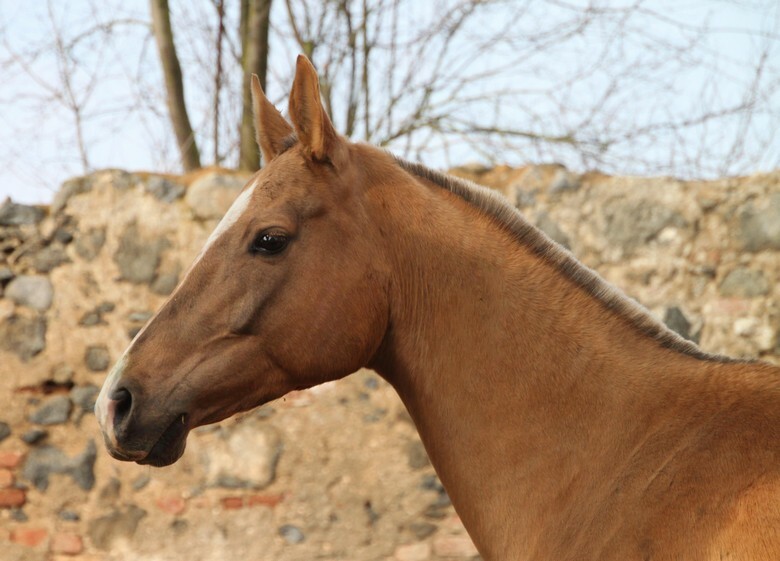 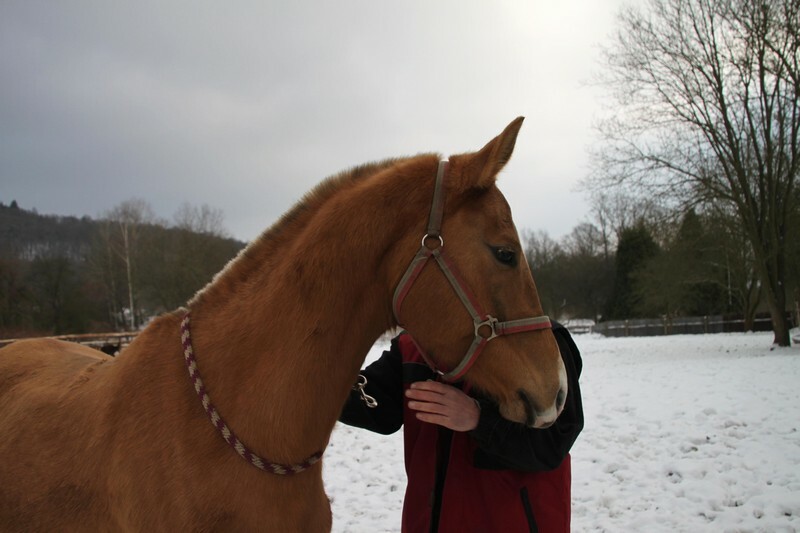 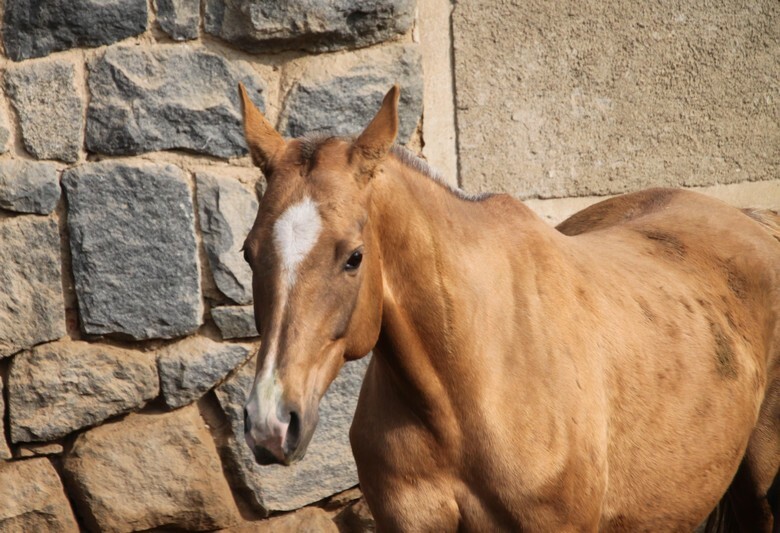 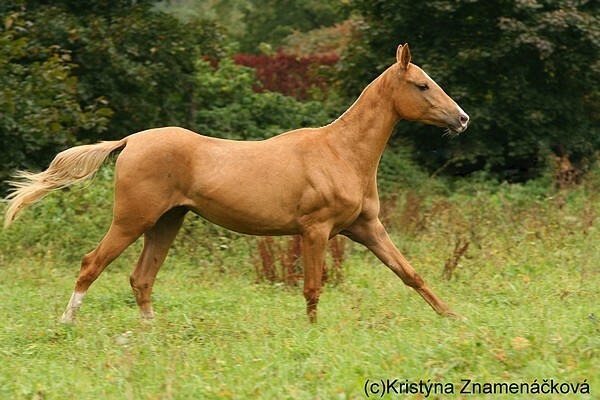 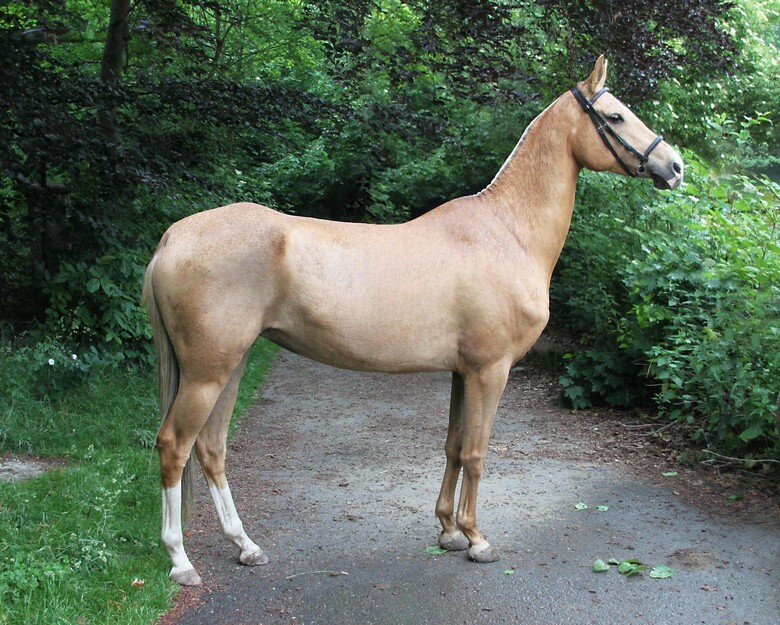 Aksum´s sire, buckskin stallion Melekush, was born in 1985 at the studfarm „Komsomol“ in Turkmenistan. 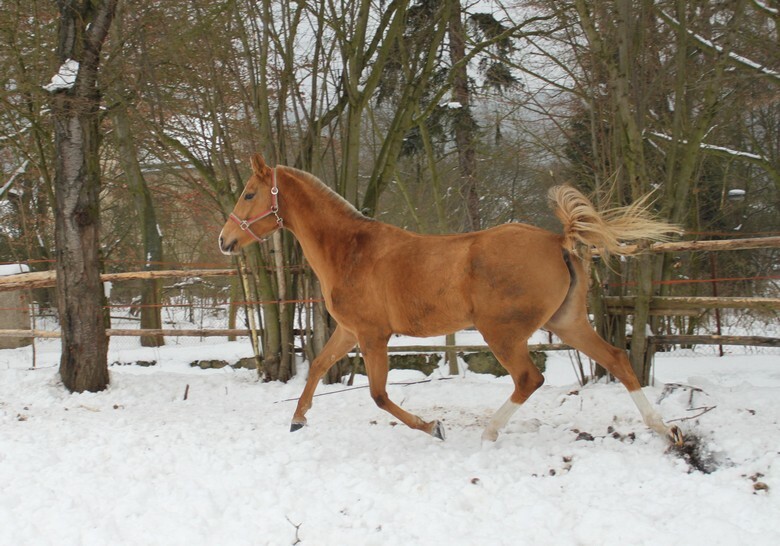 He was extremely typical stallion, with evaluation of type 9,6 points. 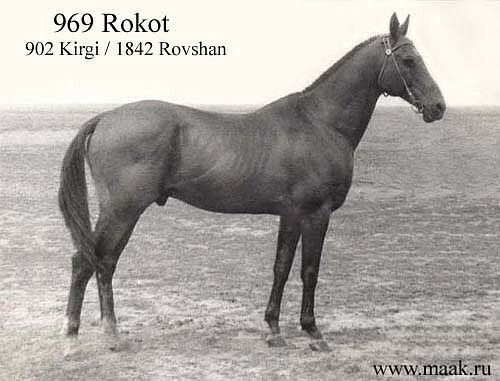 At the exhibition in Tbilisi in 1988 he got diploma of III. 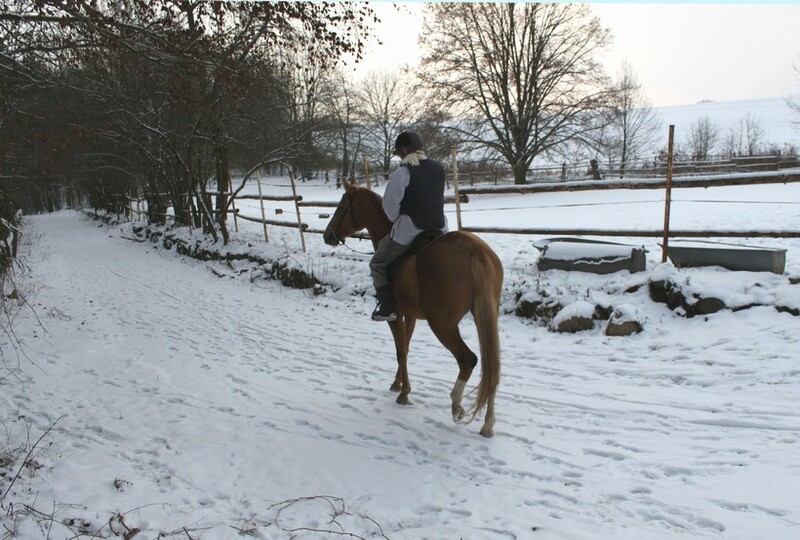 Degree. 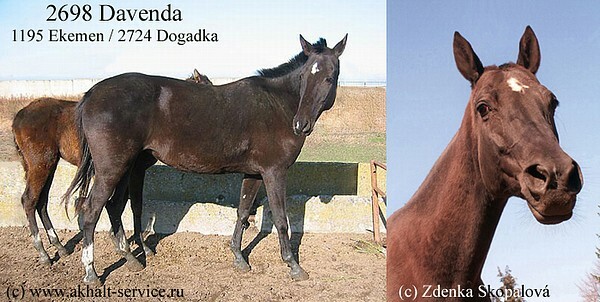 As 2-3 years old he raced at the racetracks in Ashkhabad and Kiev. 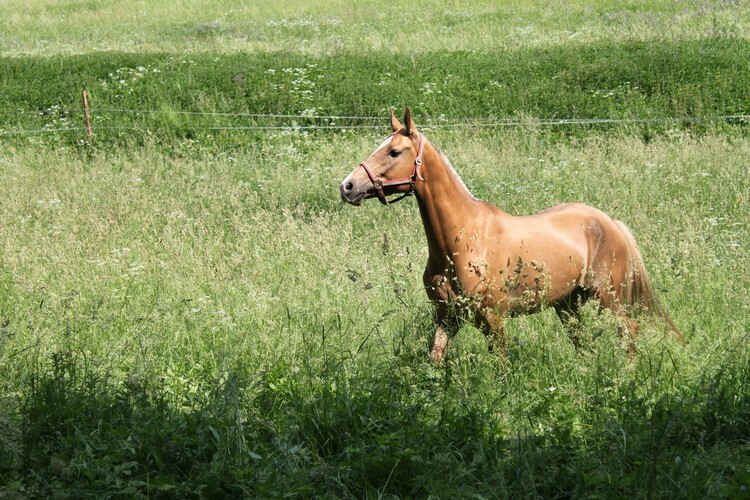 In 11 starts he won twice, once placed 2nd and twice third. 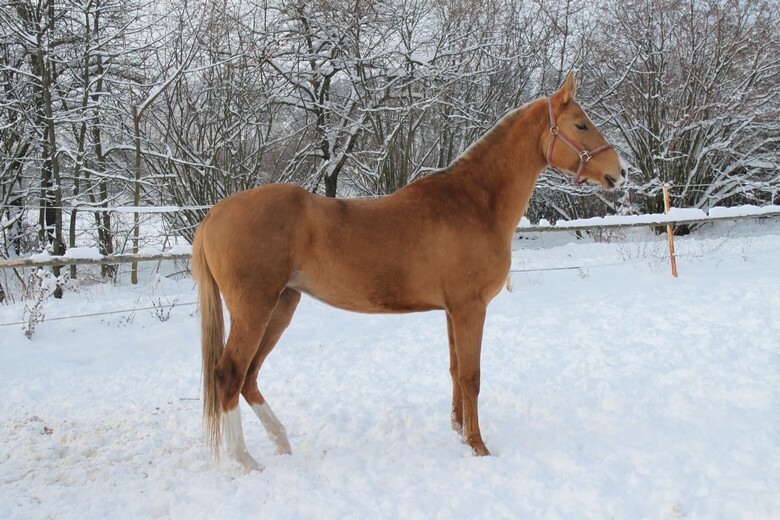 Aksum´s dam, elite black mare 2543 Akgozel 39 (995 Kerzi-1726 Arfa), born at the studfarm Dagestanskii, is the daughter of black stallion 995 Kerzi. 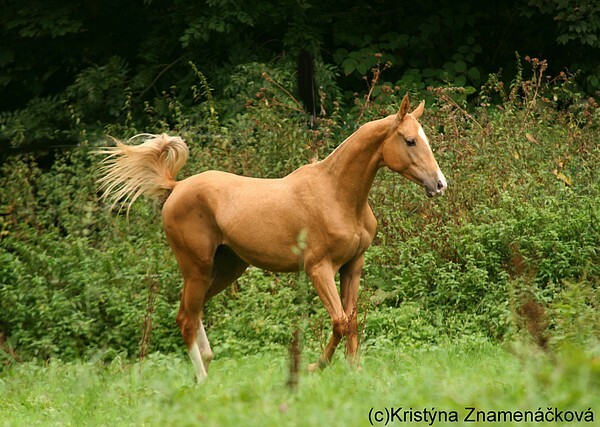 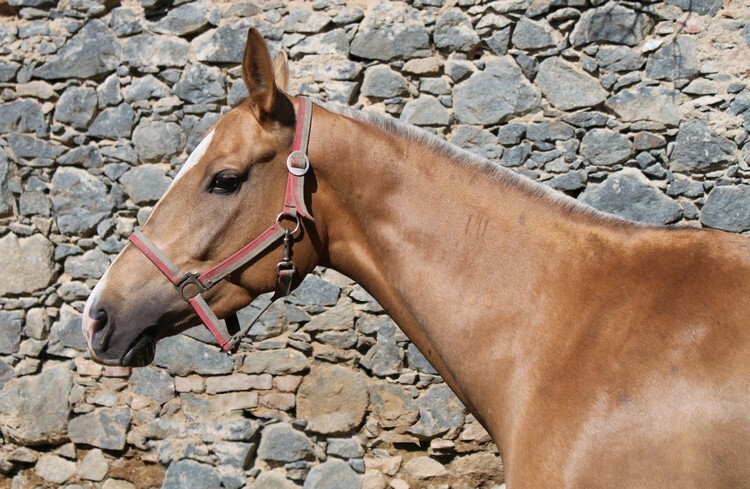 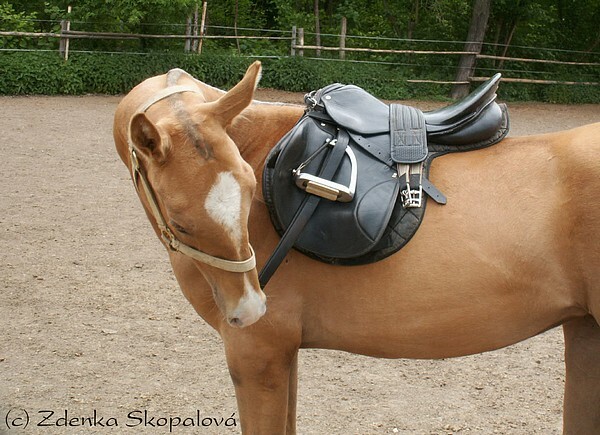 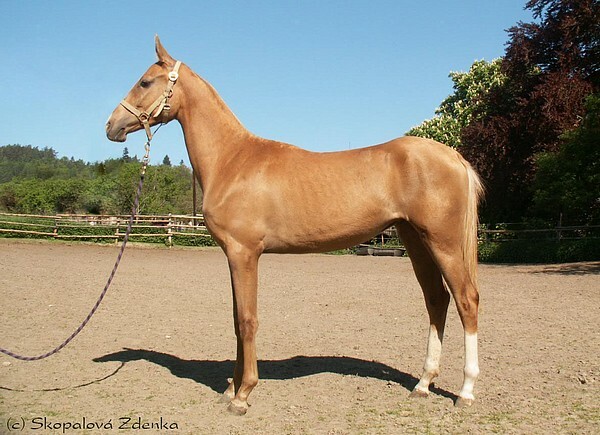 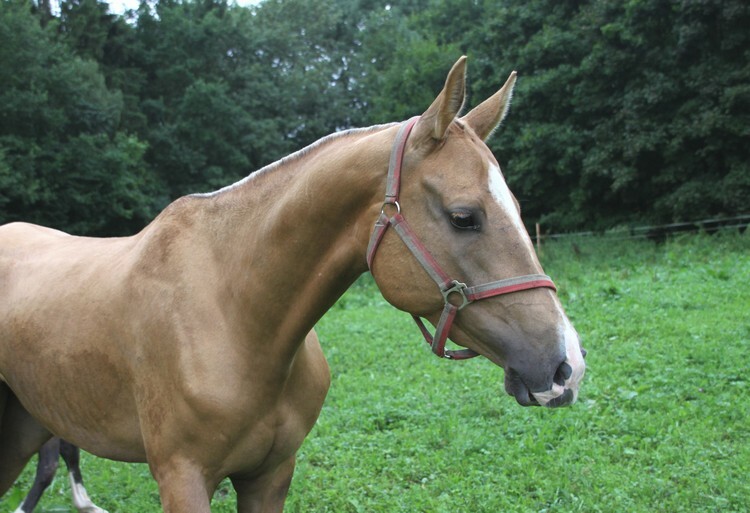 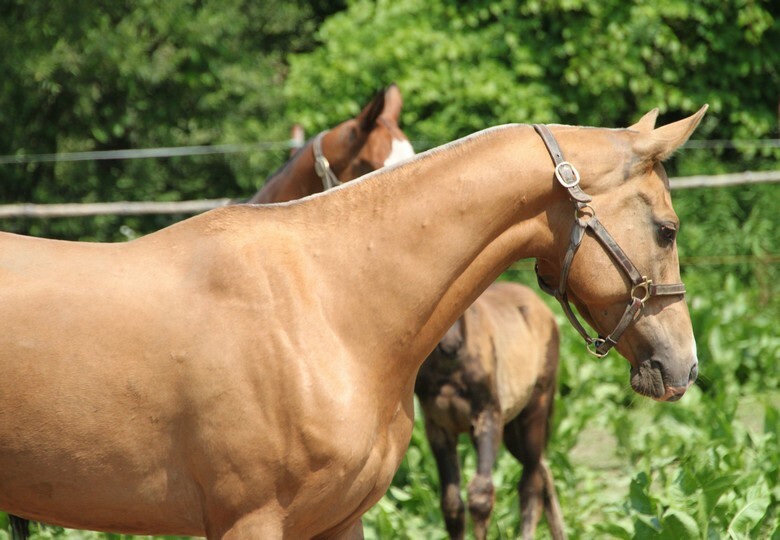 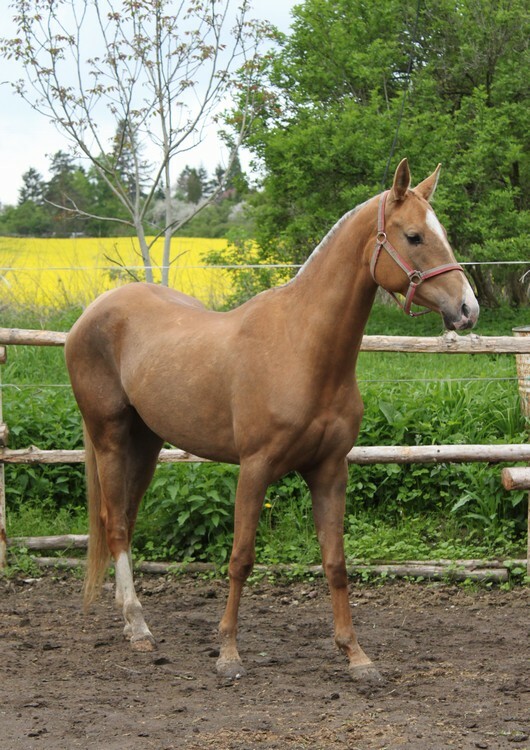 This stallion, born 1978 in Turkmenistan is considered to be one of the most typical horses of Kaplan line. 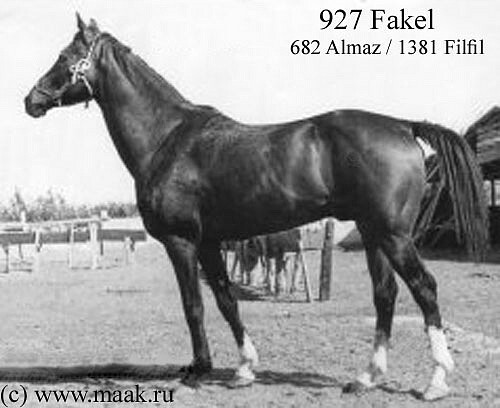 He raced 18 times at Ashkhabad racetrack, won 3 times, 9 times placed 2nd and once third and fourth. 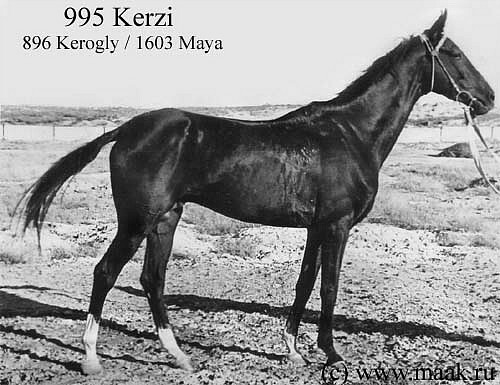 In 1981 in Ashkhabad Kerzi became the Champion of the Breed. 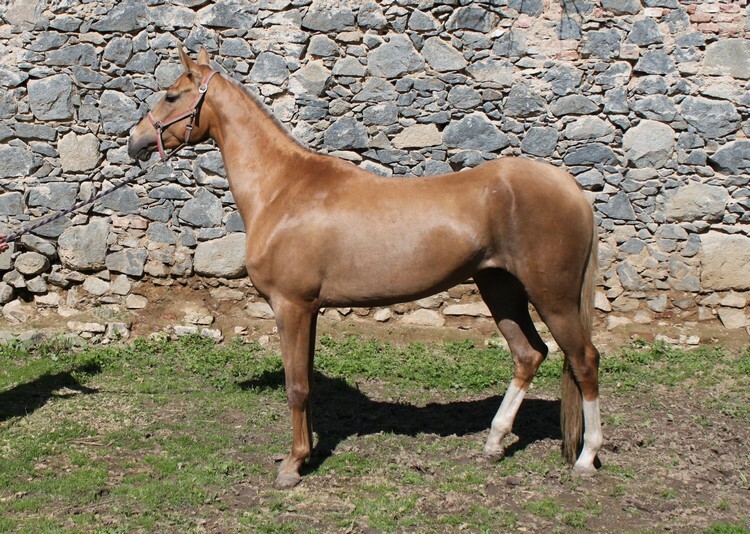 Damask´s dam, mare 2698 Davenda, is the daughter of elite stallion 1195 Ekemen, who was born in Uzbekistan from covering in Turkmenistan. 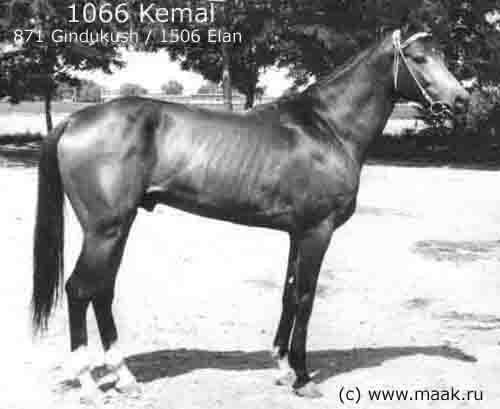 Ekemen was not tested in sport, but his sire 1066 Kemal, born 1977, raced as 2-4 years old. 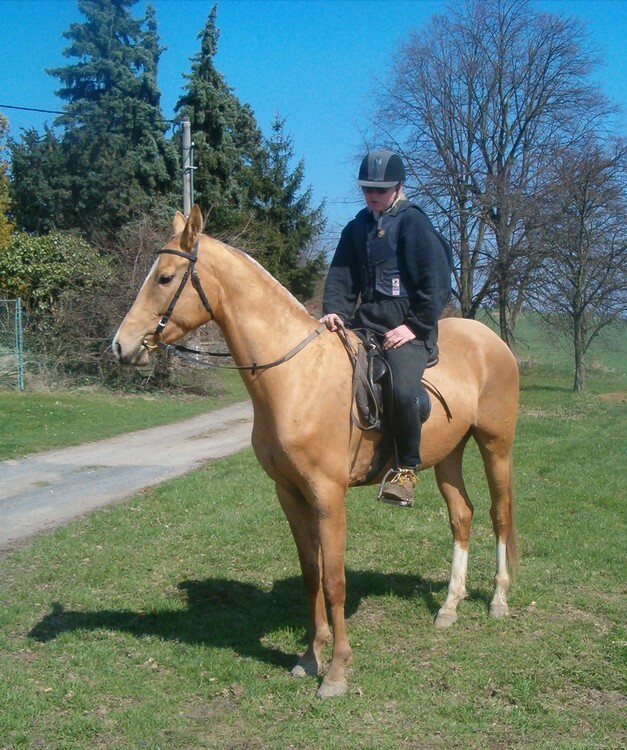 In 15 starts he won 4 times, twice placed 2nd and 4 times third. 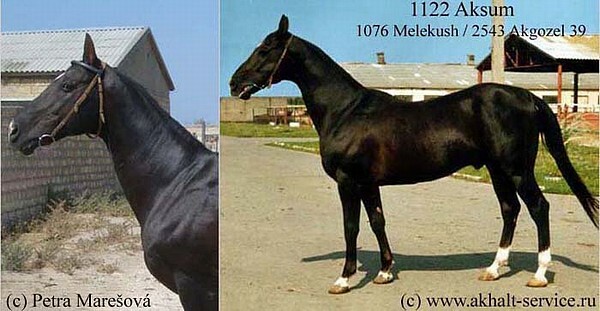 Meksika´s sire is elite stallion 1069 Kortik (969 Rokot-1987 Korsika), bay, born 1984 at the studfarm Chagorta, Russia. 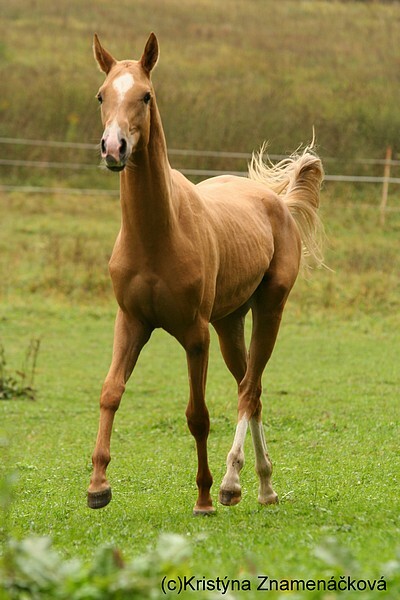 He raced as 2-4 years old, participated in 14 starts. 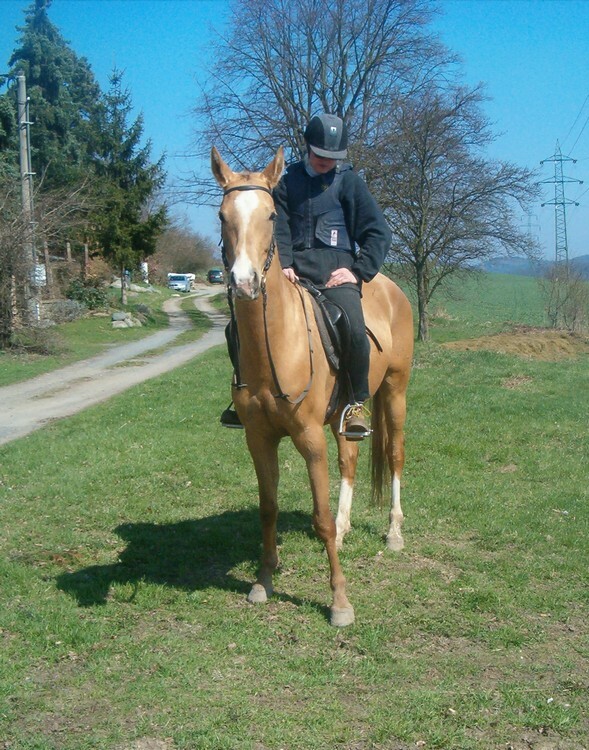 He won once, fourth times finished 2nd and three times third. 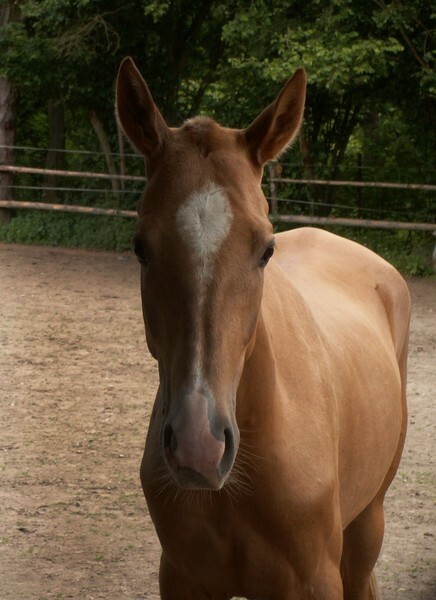 He got Diploma of the III. 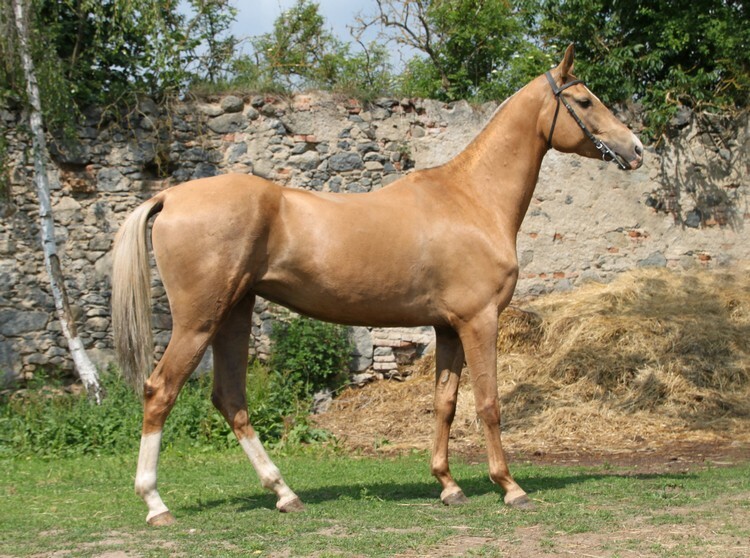 Degree at the exhibition in Tbilisi in 1988 and won the evaluation of movement competition. 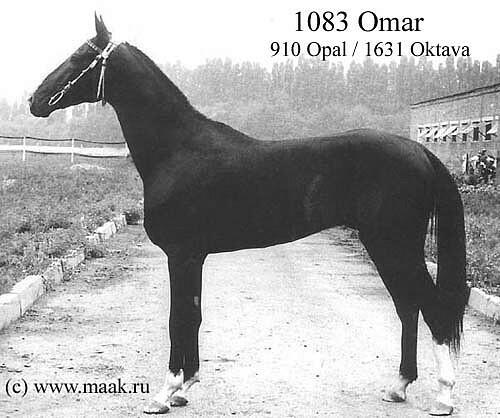 Sire of Meksika´s dam Marsia, black stallion 1083 Omar (son of 910 Opal) was succesful at the racetrack and in 1984 and 1985 he got Diploma of II. 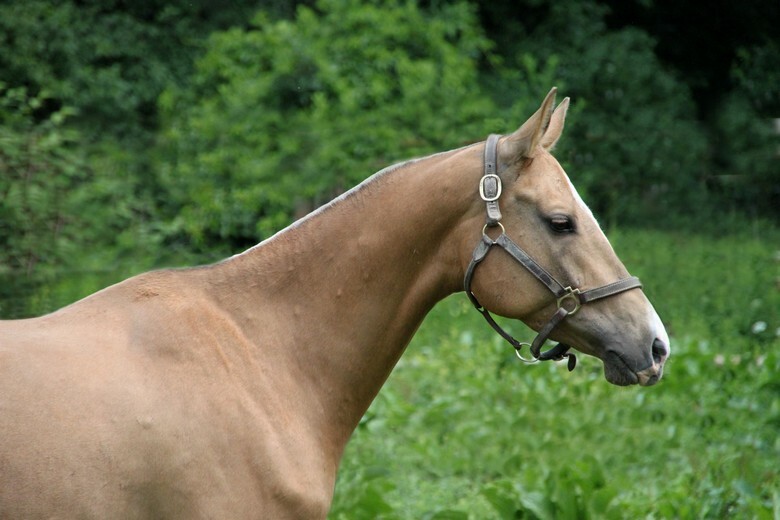 Degree in the breeding championship. 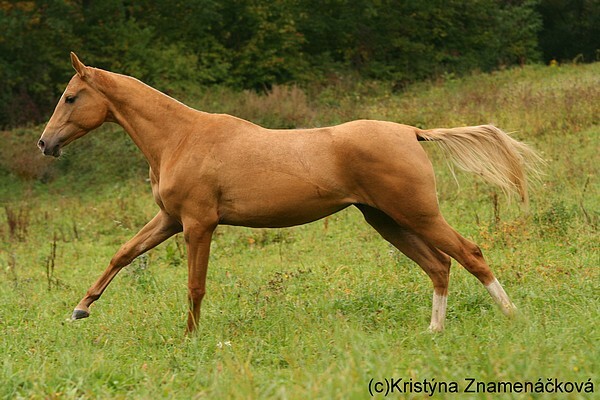 This stallion 12 times won in 20 starts. 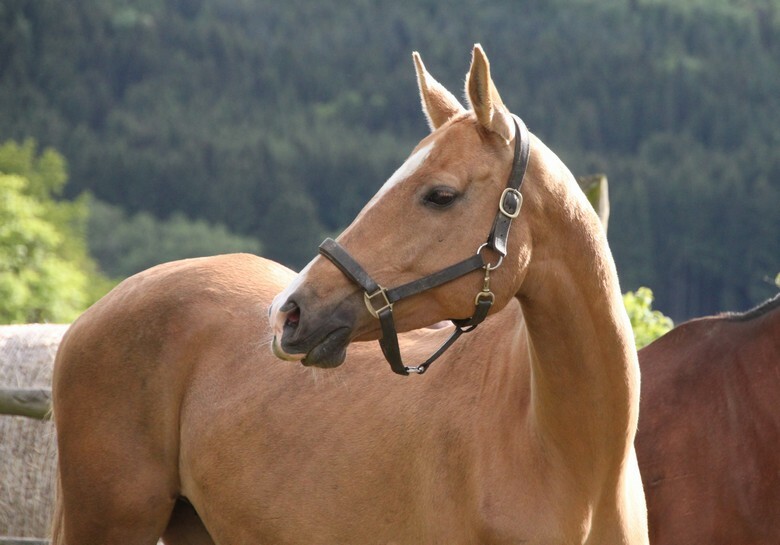 From dam´s side Mukam belongs to the family founded by mare 351 Pel. 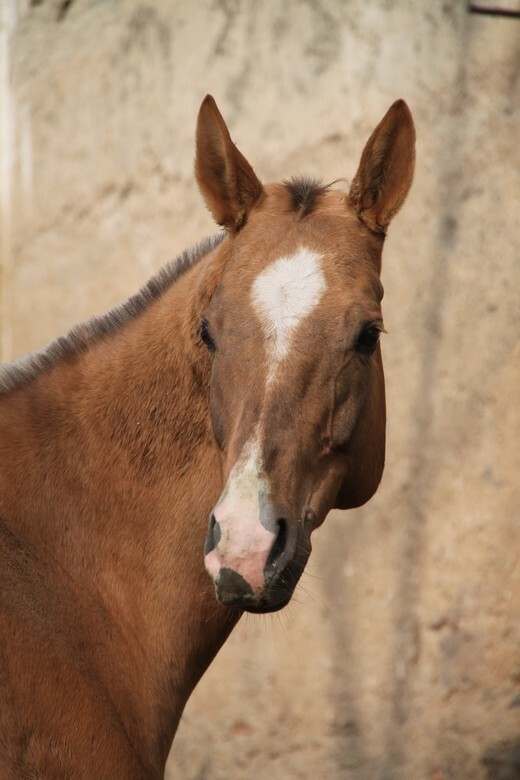 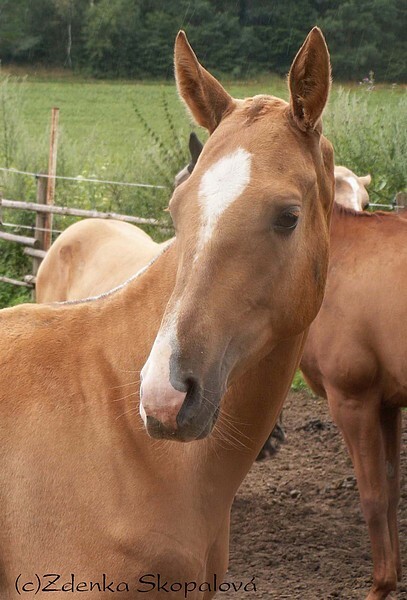 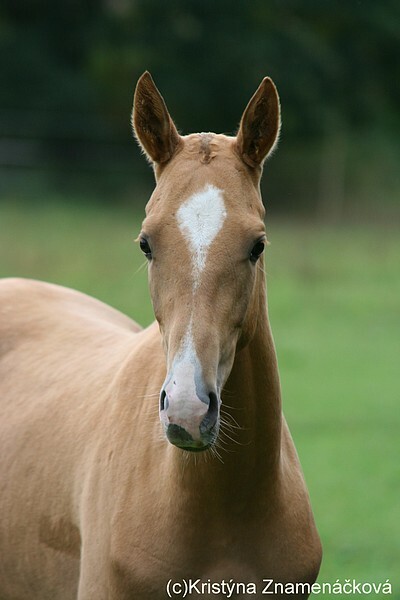 This mare was born in 1932 (254 Khadji Bai – 59 Bami). 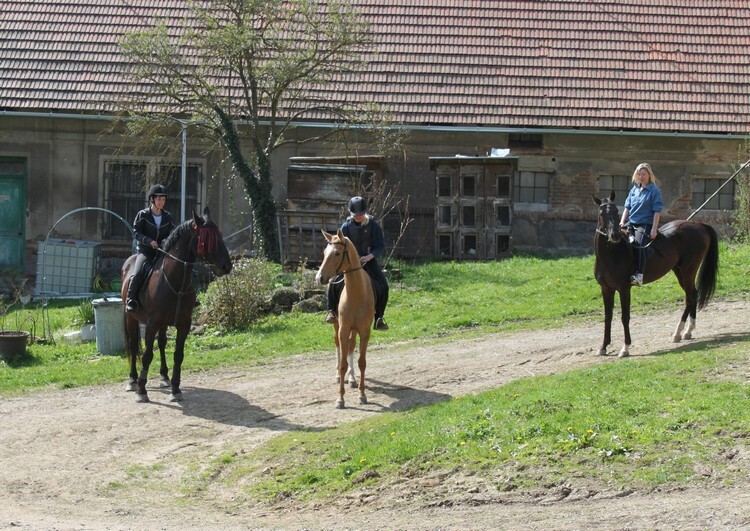 Pel was very succesful at racetracks, she was never bratem. 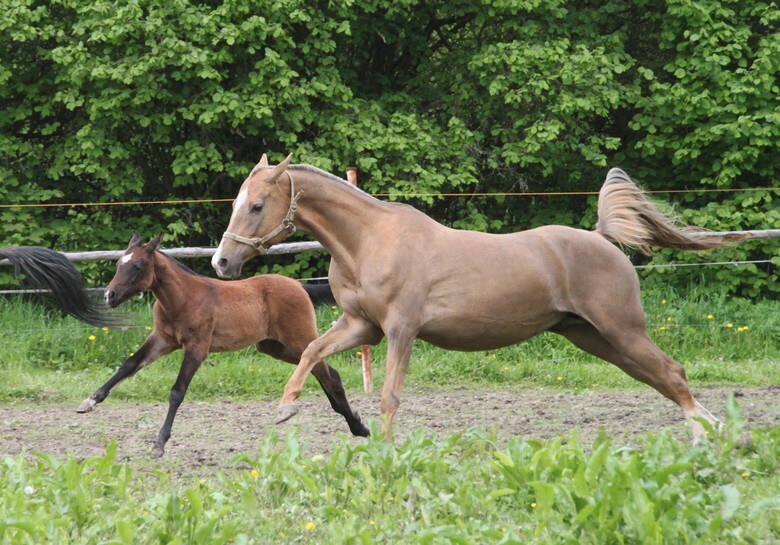 This family is one of the most important in Akhal Teke population. 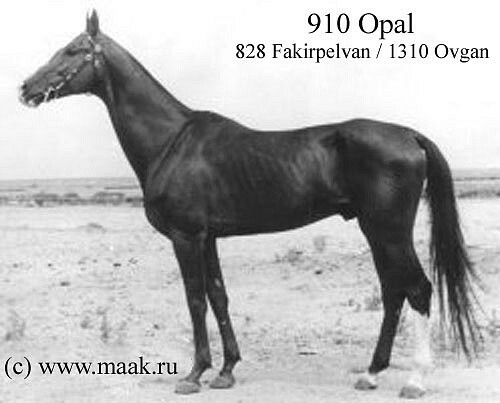 In Mukam´s pedigree we can find 4 record holders: 910 Opal (1800 m – 1:57,0 min), 858 Ametist (2000 m – 2:11,5), 927 Fakel (2400 m – 2:41,6 min) and 871 Gindukush (2800 m – 3:09,6 min). 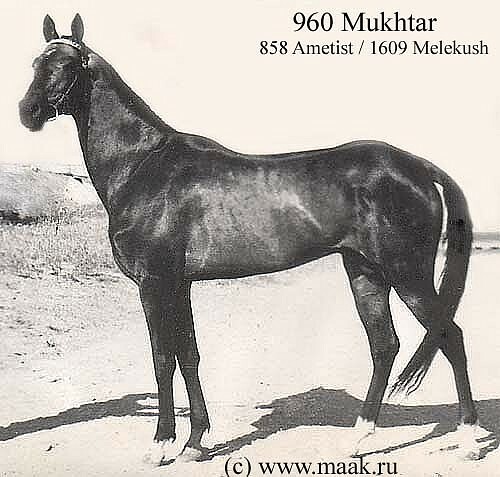 Other succesful racehorses in Mukam´s pedigree are e.g. 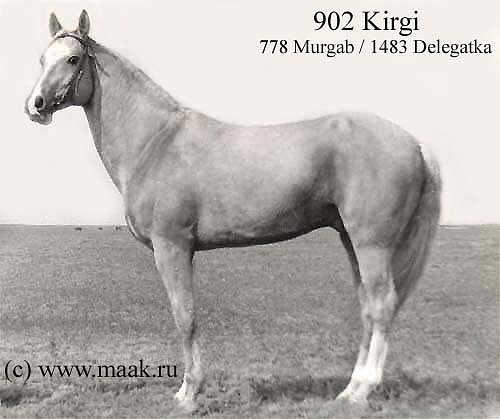 sire of Kerzi, stallion 896 Kerogly, who in 50 starts 13 times won and 24 times placed. 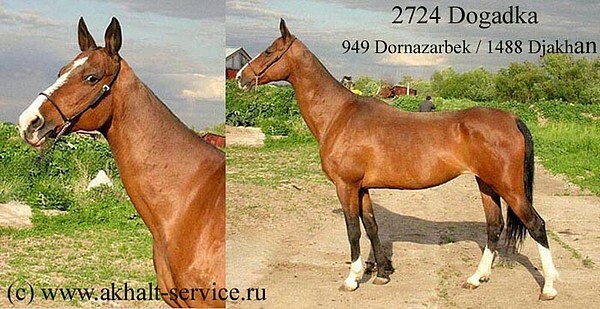 We can name also 949 Dornazarbek (IV. 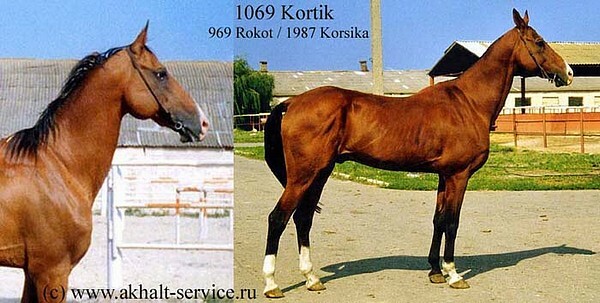 generation of sire´s side), who raced in Piatigorsk and in 9 starts once won and three times finished 3rd. 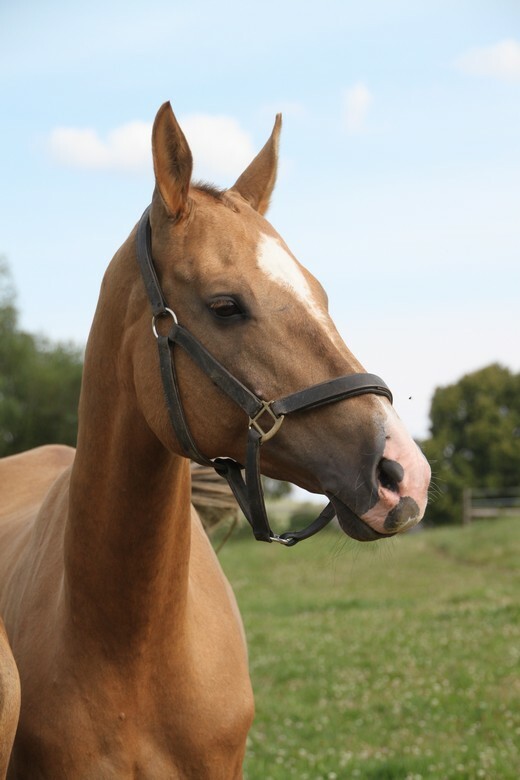 If we continue in the pedigree, we can find stallion 100 El (founder of his line), who was only once beaten in his racing career by mare 351 Pel.